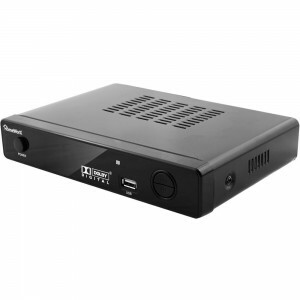 This ATSC HDTV tuner allows you to play over-the-air live television on a projector or other device with an HDMI or component video input. We include a remote and an HDTV antenna, so you have everything you need. 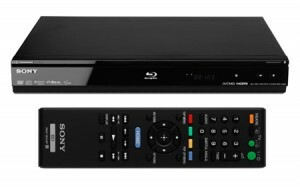 It also functions as a digital media recorder and player, playing avi, mov, mp4, and mkv files from a USB device connected to the USB port. If you need help choosing components for your audiovisual presentation, get in touch and we’ll help you figure out what components you need. We also offer delivery and setup services for all of our AV equipment. 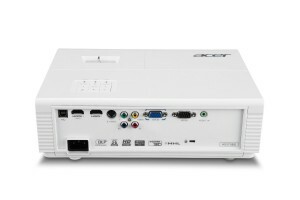 We no longer offer this Acer HD projector. May we suggest this HD projector instead? 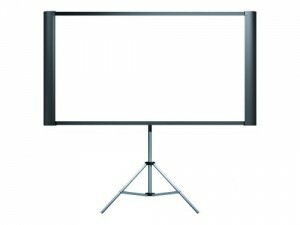 Rent our 80″ projector screen for PowerPoints, presentations, or movie nights. Because it is rolled vertically, it can be used for both 16:9 and 4:3 projections. A stand is included, so you can set up anywhere. It’s easy to transport, and collapses to a 43″ tube. Pick it up from our downtown Milwaukee office and have it set up in minutes, or we can deliver for an additional charge. 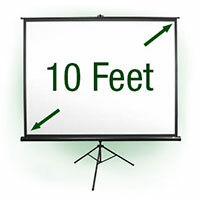 We offer a a $10 discount when you combine a projector and projector screen on the same rental order. We suggest this projector screen size for groups up to 16 people. We also offer bigger screens for larger groups. This is our entry-level video projector. It’s rated at 2700 lumens, bright enough to light a 10′ screen in the dark, or a perfect match for our 80″ screen with the lights on. 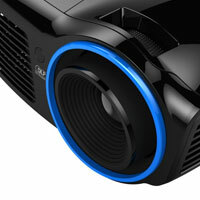 This projector is smaller and quieter than most models. The DLP technology provides rich contrast and is 3D ready. 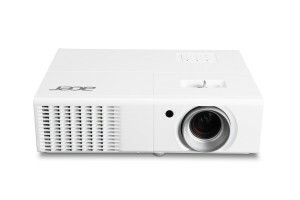 The projector has a 4:3 native aspect ratio and 1024×768 native resolution, ideal for presentations from a computer. If you’re looking for a projector just for movies and video, we suggest renting a widescreen HD projector. 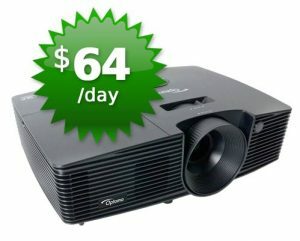 This projector rental has amazing connectivity, including HDMI, VGA, S-video, and composite video. We also include a Mini Displayport adapter to connect to many Mac and windows laptops. There is a small speaker, but you’ll want to connect external speakers if you have an audience. If you have a particular connectivity question, bring your device to our office and we can test your projector rental before you leave. We can adapt nearly any video source to work with any projector. All of our projector rentals include a hard case, so they’re easy to transport without worries. 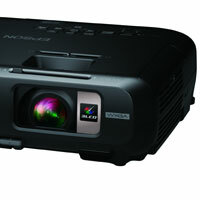 We’re pretty sure this is the most affordable projector rental in Milwaukee. They tend to get booked in advance, so give us a call today to secure your reservation! Rent a multimedia cart to hold your projector, computer, DVD player, etc. We offer a few different cart types, you can choose your favorite when you come to pick up your rental. To keep prices low, carts are an add-on item only (we don’t rent them by themselves). 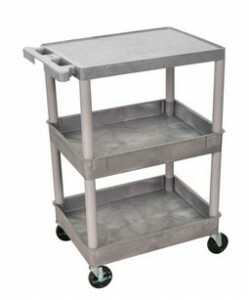 Multimedia carts start at $14/day. Call or email for availability. Rent a 55-inch ultra high definition TV for special events. presentations, trade shows, or as a featured screen on-camera or in the studio. 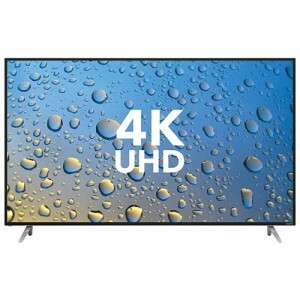 The UHD TV features five HDMI inputs and smart connectivity with YouTube and other streaming services. With brighter colors and higher resolution than a projector, you can count on this display to give your presentations and videos maximum impact. Widescreen UHD displays can increase traffic at conventions and trade shows, help keep your audience engaged, and make your product or service look its best. The slim screen fits almost anywhere, and the TV is lightweight enough to set up and take down easily. We include a remote and power cable. Delivery to Milwaukee, Madison, Green Bay or Chicago is available for all of our A/V and event equipment. 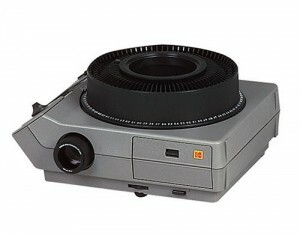 This Kodak Ektagraphic III E slide projector is a classic. You can project standard 2″ slides (yes, like made-from-film, sitting-in-the-attic slides). If you somehow ended up here because you were looking for a modern, digital projector, we rent plenty of those, too. Do people call you old school? A dinosaur? At MKE Production Rental, we prefer to think of film slide technology as “classic.” This rental slide projector may be old, but we keep all of our equipment in excellent condition. We include two slide trays. The user manual is available for download.